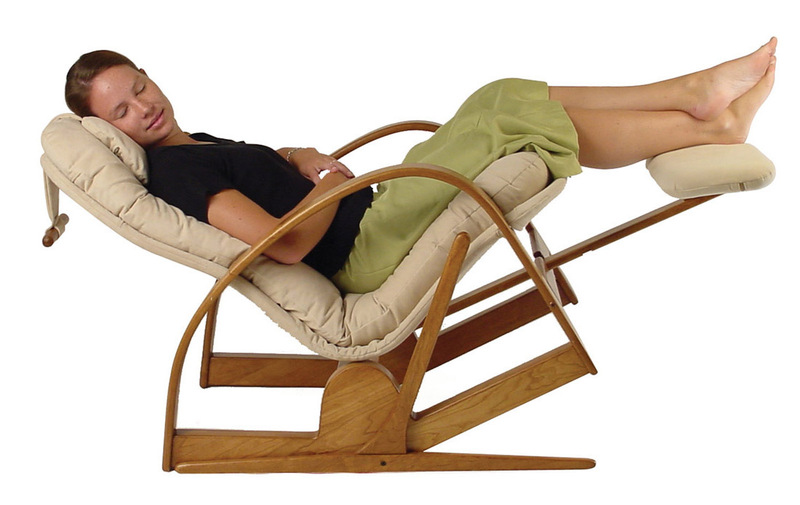 Brigger seats hug the body and are shaped to provide optimal body support. Ergonomics is the science of making your seat comfy. A seat’s measurements must relate to your size in order to provide the correct depth of seat, seat height from the floor, and length of back. 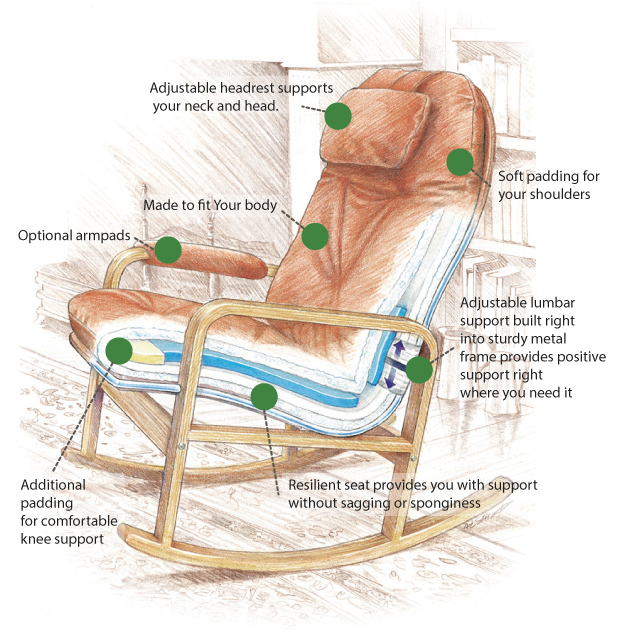 Whatever its specific purpose, a chair needs to provide support in the lumbar region of the back. Lower back support is provided by the LumBar ™, a special feature of Brigger seats, which adjusts up and down to meet any personal needs. The LumBar is accessible through a zippered opening in the sling and its bulk can be increased to fine-tune the amount of lumbar support. 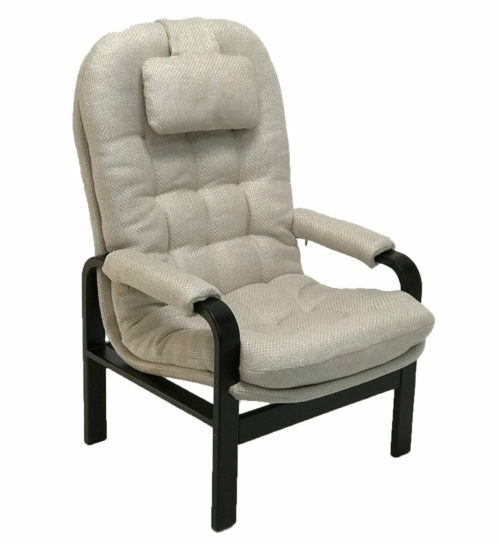 Medium and high seat backs come with customer selected steepness that determines sitting posture and support of shoulders, neck and head. High-back seats include a movable head-rest with zippered opening in the back to allow changing the amount of stuffing as needed. The Brigger seat combines a sling covered steel frame with a soft upholstered seat pad. It derives its ergonomic comfort from the shape of the solid frame which is covered with a sling which in turn is reinforced with strong material to prevent sagging and stretching. This design supports the body while conforming to its shape. 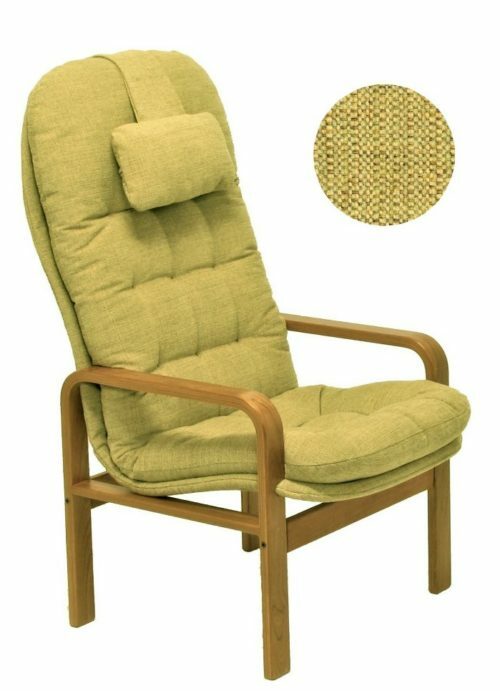 Compare this to many commercial upholstered seats that depend on thick foam cushions without structural support “bottomless comfort” and thus do not satisfy the requirements of ergonomic science. 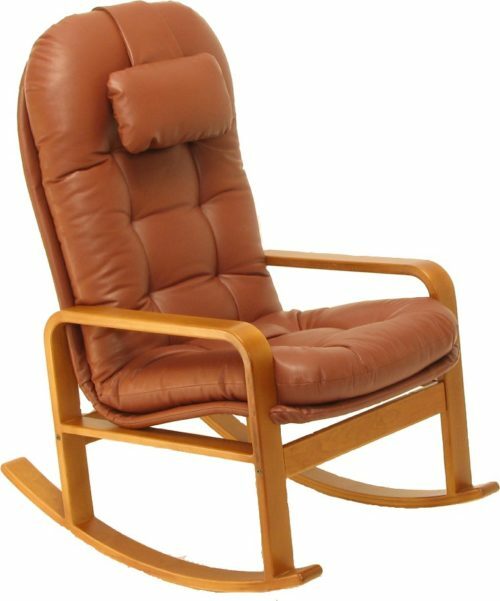 Experience taught us that true comfort results from ergonomic support that is felt when sitting in a chair. Mere softness leaves the occupant without that positive perception of ergonomic support and comfort. 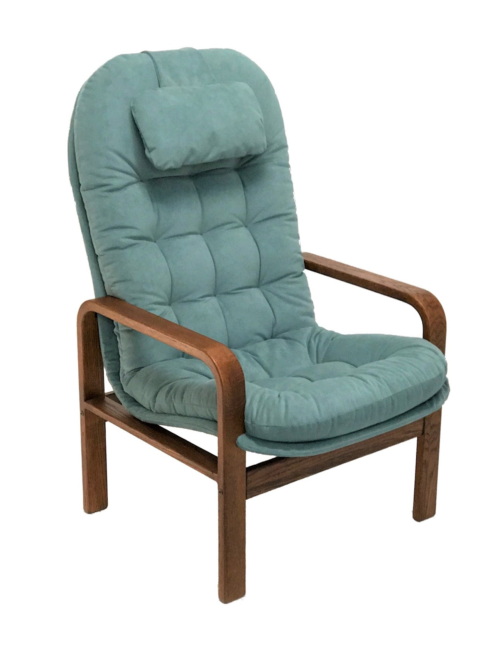 By scaling the seat to satisfy your personal measurements (see Fitting Center) and providing ergonomic support, Brigger seats will be experienced as most comfortable, especially when sitting for extended times. Thanks a lot for sharing this post! The detailed description shared by you will be of great aid to me next time when I go to buy a chair for my living space. As you said, the chair must have all the adjustments required to increase the comfort if the user. I liked how you specified the details an ergonomic chair must hold to deliver comfort to its user. A wide seat pan is the necessary part of the chair as wider the seat pan, more is the sitting area. After all, our buttocks do need some relief when they are under huge pressure of our body weight. A stuffing needs to be dense, making the seat pan more durable and foam filled. I will share this info with my friends as it helped me a lot.Have a good day.